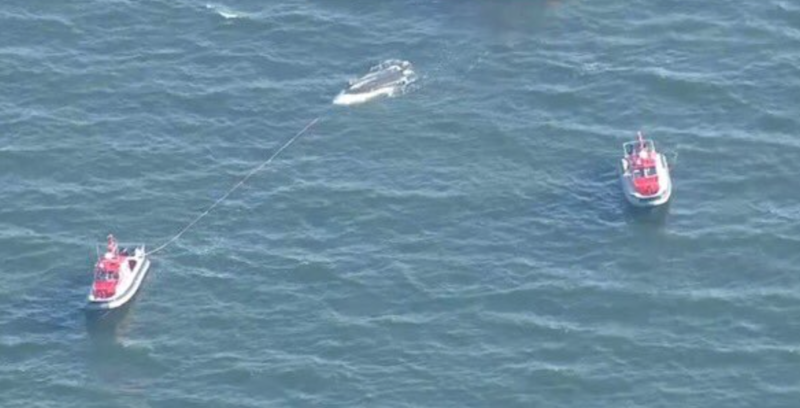 Authorities say 12 people, most of them children, have been hospitalized after a boat overturned off the Massachusetts coast. A good Samaritan had rescued three adults and nine children when officers arrived around 4:40 p.m., but an 8-year-old boy was still unaccounted for. A professional diver tells WFXT he found the boy unconscious underneath the boat. Authorities say the boy was airlifted to a Boston hospital, where his current condition is unknown. The Coast Guard says the boy was wearing a life jacket.